This stylish 4 bedroom 4 storey Period House has been extended to offer fantastic entertaining space opening on to the South Facing Garden. Beatty Road is located just moments from the great range of independent shops, restaurants and transport links of Stoke Newington and is within easy reach of trendy Dalston. 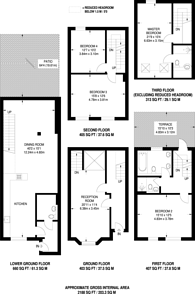 2,188 (203 Sq M) approx.